Island Shangri-La Hong Kong | Soleil Travel Consulting Ltd. When you step into Lobby Lounge for a quick drink, the 130-year-old Banyan Tree holds your gaze. This had cost HKD 24million to conserve – a unique gesture in this bustling metropolis that lets nothing stand in its way. Island Shangri-La, Hong Kong is conveniently located in the heart of Central and amidst the city’s most prestigious shopping, cultural and business addresses. The hotel is directly linked to Pacific Place shopping mall and the Admiralty MTR Station, and is just a short walk to Hong Kong Park, the Peak Tram Station and the most popular Soho and Lan Kwai Fong districts. The Hong Kong International Airport is also just 45 minutes away. 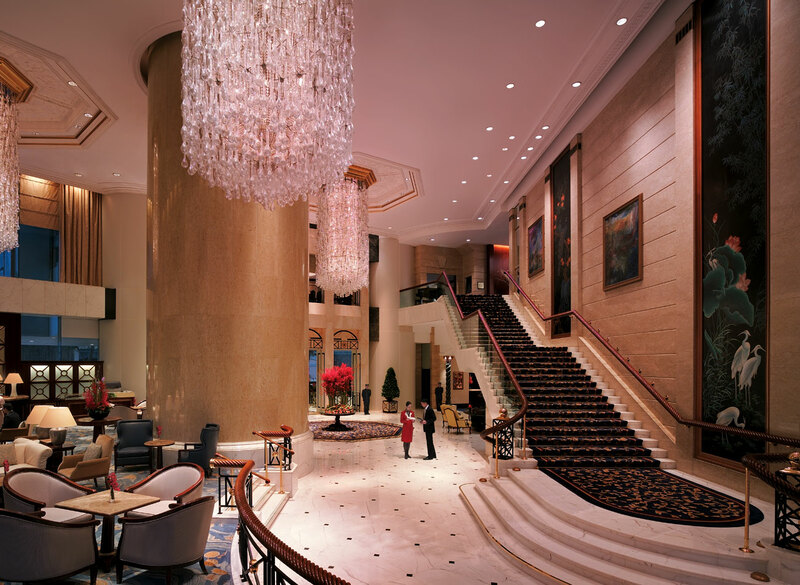 The hotel comprises 531 superb guestrooms and 34 expansive suites which are among the largest in any hotel in Hong Kong. All rooms are exquisitely appointed with Asian-accented European furnishings and command magnificent views of the city, the Peak or the world-famous Victoria Harbour. The fully equipped business centre offers a wide range of secretarial support, including translation, interpretation, copying, fax and courier services. Private meeting rooms, computer stations and video / satellite conference facilities are also available.